We’re at the end of the first week of Little Chap’s Easter Hols here. Mayfair Dad’s had a humdinger of a week at the office, so he took the day off and we took Little Chap on a day trip to the Tower of London (at his request). We took him before, when he was three as he was so keen on all things ‘Knight in shining armour’ and, evidently, he still is! I love a day at the Tower. It is so steeped in history it’s almost ridiculous – of London since the Romans (William the Conqueror built it on the site of an abandoned Roman fort), of the kings and queens of England, the Princes, Henry VIII’s poor wives! It has witnessed more political intrigue than somewhere that witnesses lots of political intrigue! Yet at the same time it is in the heart of twenty first century global commerce, surrounded by cutting edge architecture and building technology – the “Gherkin” (30 St Mary Axe), the “Shard” (96 Tooley St), the “Glass Testicle” (City Hall) and the “Walkie Talkie” (20 Fenchurch Street) are all within sight as well as the construction site of the “Cheese Grater” (122 Leadenhall St)! It isn’t the cheapest day out (£22 per adult, kids over 5 £11, under fives go free) but it has clean toilets, a decent cafe/restaurant with lots of seating and plenty to see and do. We saw the Crown Jewels, the White Tower – home to so many suits of armour even Little Chap conceded he’d probably seen enough and the Fusilliers Museum. That was just before lunch, after which we popped in to St Thomas’s Gate (aka Traitors’ Gate) to see how cosy the Tower was as a home to the various Royal Families. Best of all, we then shared Little Chap’s instruction from an historically costumed “Geoffrey Chaucer” and friend on how to be a young page in Medieval England, including the opportunity to handle some knightly weapons – a sword, a buckler (mini shield), see how a crossbow worked etc. It was PlayMobil brought to life! He was intrigued and so were we! The funniest was when he was handed three oranges on a round wooden tray and told that as a young page in an important knight’s household, he would have to learn how to serve them to the ladies and gentlemen without dropping them. This would include having to get down on one knee (!) to serve them and then getting up slowly to walk backwards before turning away to return to the kitchen. Not easily done, I can tell you! We nearly had orange squash! So for today’s post, I’m not just reviewing our trip (which we booked and paid for ourselves) but I’m linking up to this week’s Prose for Thought, a poem about Little Chap’s visit. It was inspired not just by him, but prompted by the lovely Claudia at dVerse – Poets Pub (a mutually supportive group of poets from around the world), so I’ll be linking up with them too. Do pop on over to both and join in – all welcome! This week’s prompt was to convey an emotion without actually mentioning it in the poem. Little brain can’t get it’s fill. As you run on up Tower Hill. All history lovers you now join. And don’t forget the canon! To numb those chattering lips! When you’re a tired Little Chap. 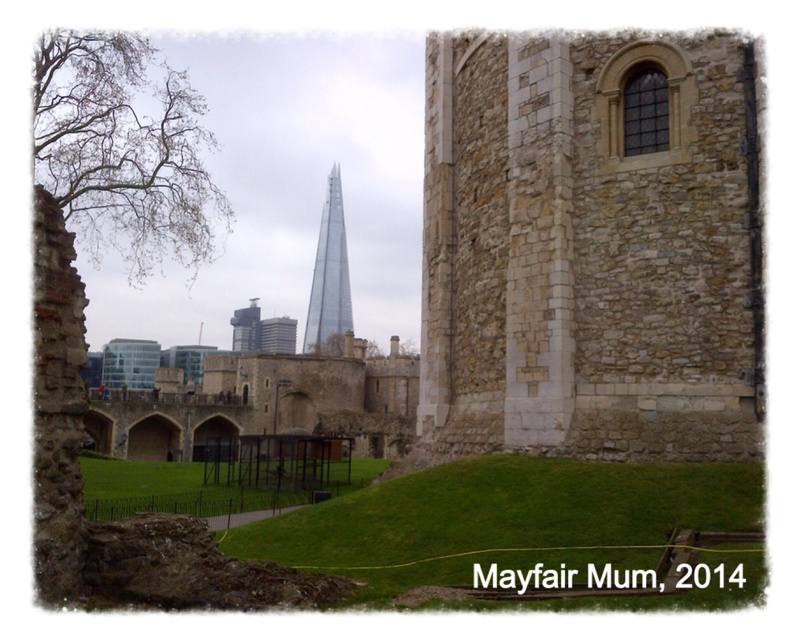 This entry was posted in #prose4T, Hyde Park Corner, Linky Love, Little Chap Visits, Memory Lane, Parenting & Family, Poetry & Prose, Reviews & Recommendations and tagged #DVersePoets, #Prose4T, days out, history, kids, knights, Little Chap, London, poem, poet, poetry, Tower of London by Mayfair Mum. Bookmark the permalink. Thanks for stopping by & commenting. 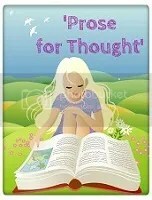 I’m hoping to have some time to read some of the other poems later today. Tuckered out indeed. That wasn’t all – he had a 2hr nap on the sofa too when he got home! Hasn’t needed to nap for years! Lol. Yes, well done Cathie it was excitement. Glad you felt it *pats self on back*. Thanks so much for stopping by. I think I was a little excited too – I love Tudor & Stuart history, the Wars of the Roses, the Princes in the Tower etc – visiting places so steeped in the same history always inrigues me. I’ve enjoyed sharing that passion (carefully!) with Little Chap for the last couple of years – I just hope he’s still that excited when they start history lessons at school!